Smallcakes is cupcakeria in Biltmore Park (South Asheville). Parking is easy - but if you can’t find a spot right out front; there’s a garage right down & around the block too. 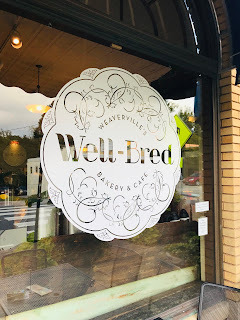 It’s right next door to Woof Gang Bakery & Grooming. 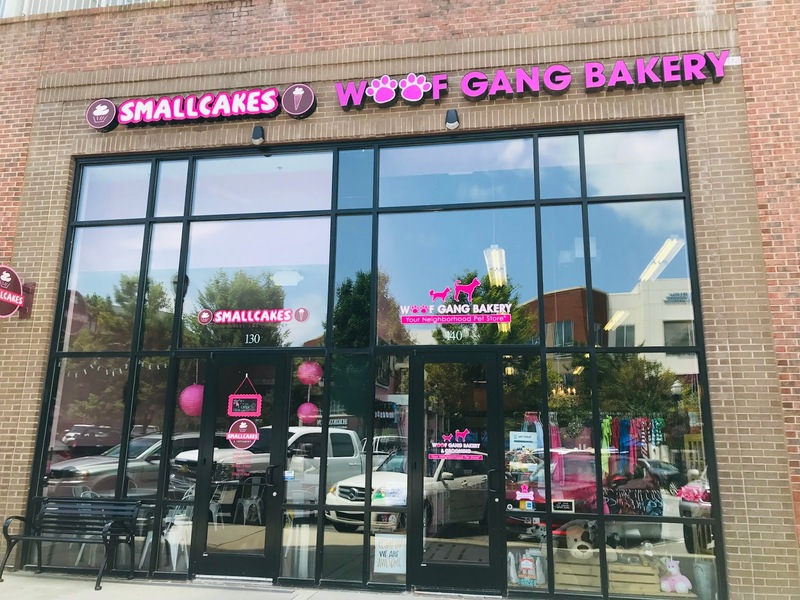 Don’t worry; there’s no large gangs of dogs hanging out around there with iced out glocks - it’s literally just a bakery/toy store/grooming salon for dogs. So, you can get the puppers a treat too - without having to worry about getting caught mid raid where a large German Shepard police dog busts down the (doggie) door and starts making arrests. 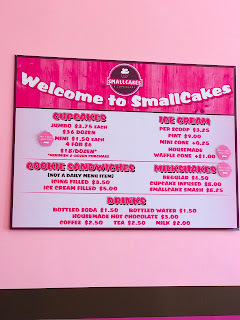 Anyway - the inside of Smallcakes is bright and pink, with a fun retro yet modern vibe. Kinda feels like a 50’s soda shop all grown up. 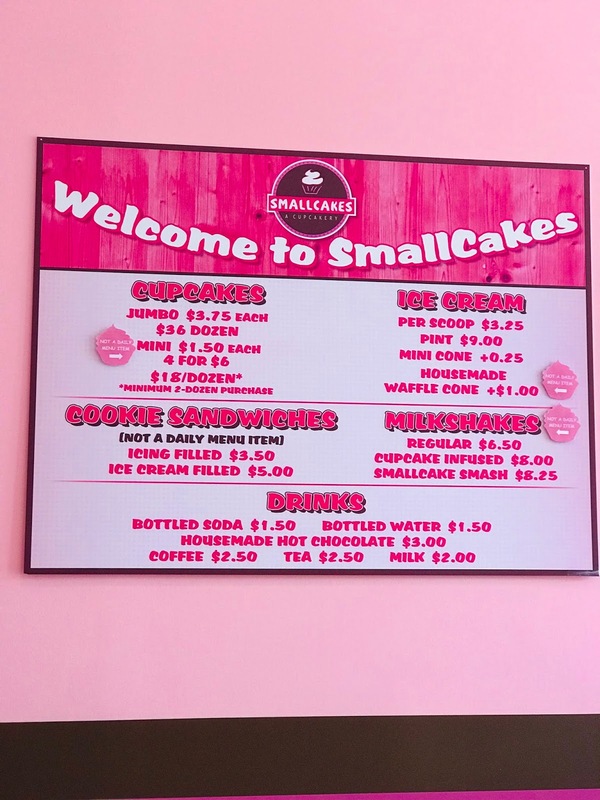 I’m not really sure why it’s called “Smallcakes” since the inside of the shop was actually quite spacious, but that’s a whole other matter. 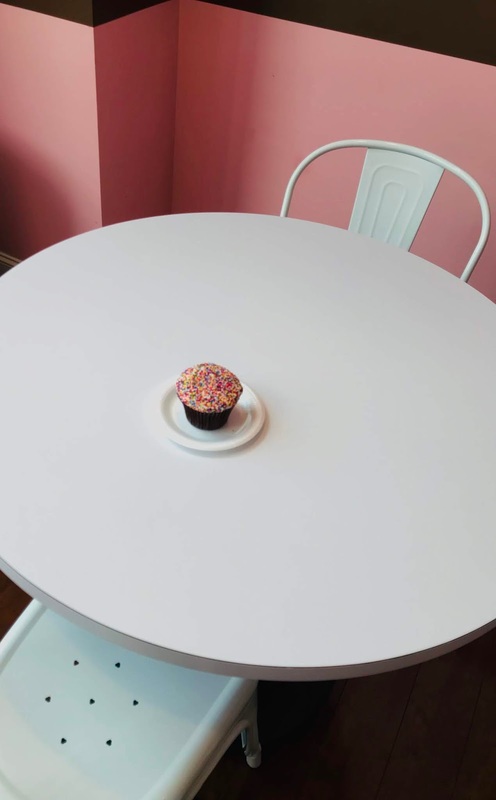 Could it be because the cupcakes are like your own individual cake? 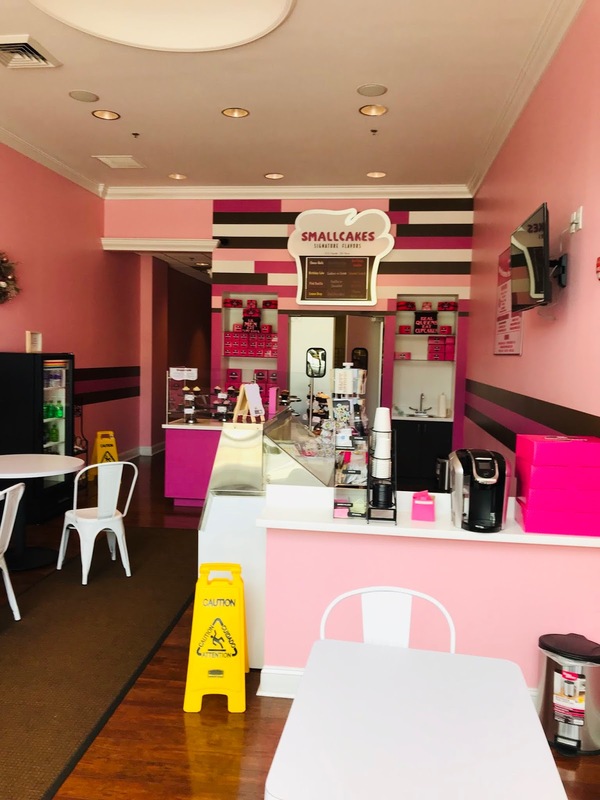 Speaking of cupcakes; there are plenty of flavors of cupcakes to choose from - as well as a zillion flavors of ice cream. You can even have a shake made... yum! I got a Birthday Cake flavored Cupcake to snack on. It reminded me of a hostess cake, but way fancier and more delish; very moist and sweet with loads of multi colored sprinkles. It seemed like a lot of people that were coming in and out were ordering several cupcakes in a variety of flavors for dessert later. Possibly for a party that I wasn’t invited to? 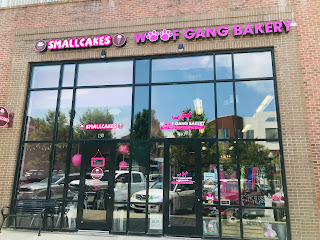 Smallcakes is the perfect place to pick up a box of cup cakes for your own party, a solo cupcake for yourself, a box of cupcakes for yourself - or, enjoy one there while you’re waiting for your gangster doggo to get groomed.